Includes transmission temperature gauge. REQUIRES 99F. 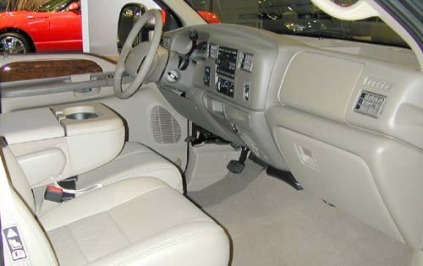 Includes 7.3L V8 TurboDiesel with 250 horsepower at 2,600 rpm and 525 ft.-lbs. of torque at 1,600 rpm. Includes dual 78 A.H. batteries and Engine Block Heater (41H). REQUIRES 449. Includes battery charge protection, high idle control and LCD RPM/voltage readout. Kit includes auxiliary idle control module, mounting bracket and hardware, wiring harness and instruction booklet. REQUIRES 99F. Includes 7.3L V8 TurboDiesel with 275 horsepower at 2,800 rpm and 520 ft.-lbs. of torque at 1,600 rpm. Includes dual 78 A.H. batteries and Engine Block Heater (41H). NOT AVAILABLE with 449 or 44E. Includes highest front GAWR springs, and steering damper. May require Modified Vehicle Engineering (MVE) approval. Includes transmission temperature gauge. NOT AVAILABLE with 99F. Includes auto lock, auto lamp and remote keyless entry. REQUIRES 44E or 449. Includes heavy service front springs (200 lb. 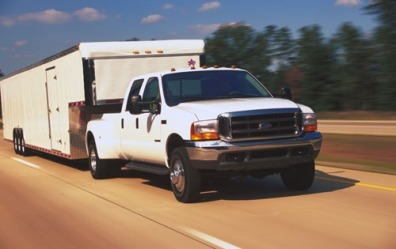 upgrade above the spring computer selected as a consequence of options chosen, Not included if maximum springs have been computer selected as standard equipment), rear stabilizer bar, auxiliary rear springs and slide-in camper certification. NOT AVAILABLE with 674 or 86M. NOT AVAILABLE with 99S or 99F. Includes rear doors. REQUIRES 433. Includes highest front GAWR springs (6000) and steering damper. NOT AVAILABLE with 99F, 674, 682 or 532. Includes 12,500 lb. capacity. REQUIRES 532. Recommended when minimum temperature is below -10 degrees F or less. INCLUDED with 99F. Standard with manual transmission. Provision only. Requires after-market PTO. REQUIRES (99F and 449) or (99S and 44E). Includes heavy service front springs (200 lb. upgrade above the spring computer selected as a consequence of options chosen. Not included if maximum springs have been computer selected as standard equipment) and steering damper. NOT AVAILABLE with 532 or 86M. Includes 6.8L V10 Engine with 310 horsepower at 4,250 rpm and 425 ft.-lbs. of torque at 3,250. Includes transfer case and fuel tank skid plates, steering damper and "Off-Road 4x4" decal.